Soccer Shots Made Me a Better Parent. The spring season of Toledo Soccer Shots came to a close this week. Penelope participated in her second session with the Mini Group for ages 2-3. At this age, soccer isn’t really about soccer. It is about running around and feeling the breeze in her hair. It is about laying in the cool grass with the earth breathing beneath her. It is about spending time with friends, high fives, and learning how to cheer on peers. All of this comes pretty naturally to kids… what doesn’t come naturally (to my surprise) was being a soccer mom on the sidelines. The hardest part of soccer shots was not getting Penelope to “squash the bug”. It was, as a parent, finding the balance between discipline and letting my daughter explore her world. Let me introduce to you Session 1 Mom and Session 2 Mom. 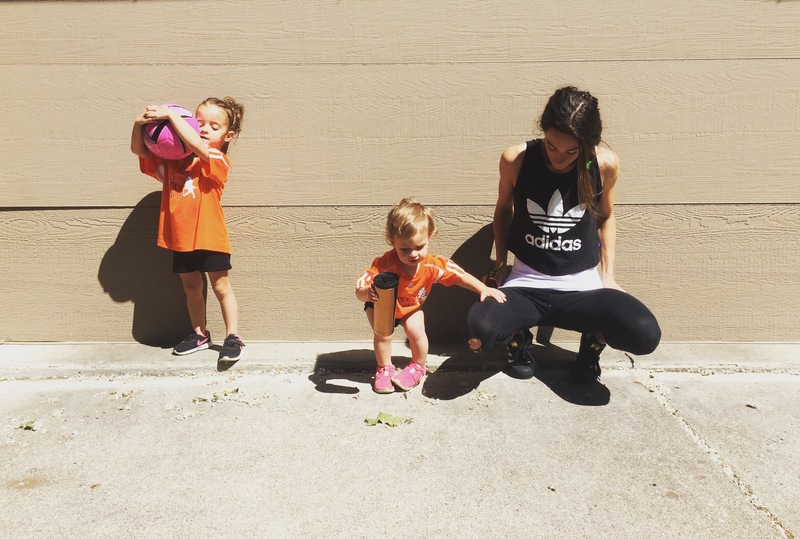 Session 1 Mom – I spent the majority of practices hovering over my daughter trying to keep her with the group, often pulling her by the arm and wrapping her into my chest like a straight jacket. Deep wrinkles engrained in my forehead as I stressed about her attention span and focus while I hid my embarrassment with laughter and jokes. 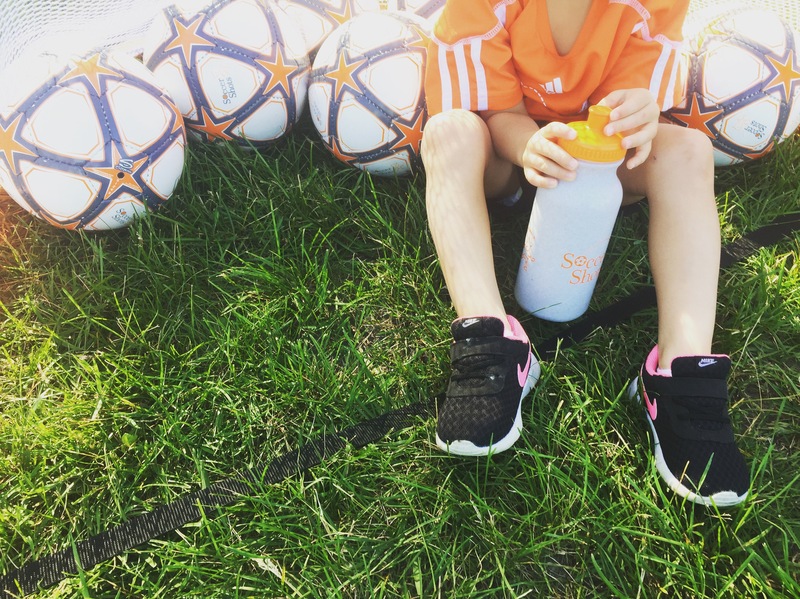 I was convinced that at 2.5 years old, my daughter should be listening to the “coach” or at least staying with the group, I mean other kids were… As much as I wanted soccer to be a fun activity, I always seemed to leave a little discouraged. Session 2 Mom – Maybe it was the long winter freezing my warped perspective, but I started Session 2 with a whole new parenting attitude. When Penelope would run from the group, I let her see how far she could go before reigning her in. When Penelope wanted to take a 10 minute water break that lasted half of practice, I let her sit and watch. I let her have fun and react to her own environment instead of forcing strict expectations. Most of all, I didn’t care what other parents thought of me. She is only 3 for God sake! Toledo Soccer Shots has been a great evening activity for our family. Now, we ALL leave practice happy! 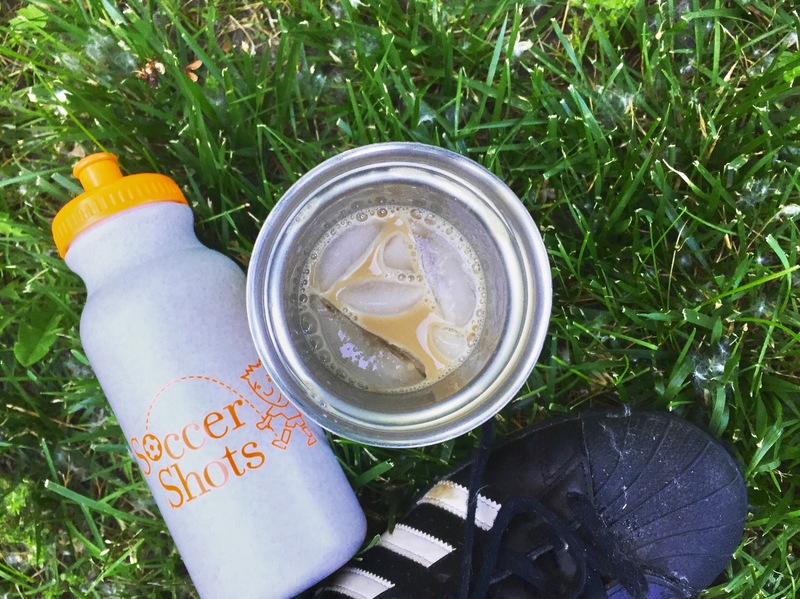 Starbuck’s Mocha Frappuccinos are my favorite grab-and-go caffeine kick for soccer practice. This is my go-to product these days until someone introduces me otherwise! My Adidas obsession on the other hand, that may be hard to break. Kudos to my favorite mom! Watching on the sidelines never gets easier……FYI!